For 25 years, Christian Potier, Chef of Classic French Cuisine, has brought high quality products to its customers. He selects superior ingredients and cooks them according to traditional recipes. 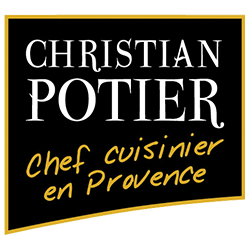 Christian Potier offers delicate, smooth and tasty sauces to go along with meat and fish. To ensure the very best flavors, his recipes are elaborated with no artificial flavors, flavor enhancer, gluten or colorings. Each pack contains 3 individual pouches, ready in just 10 seconds in the microwave. It’s easy to avoid waste and to heat-and-serve for any occasion.